If you’ve been shopping 4K UHD projectors, you know that there isn’t really much out there in the “affordable” range. So Epson’s new $2,000 Home Cinema 4010 “PRO-UHD” projector massively shifts the playing field here. Of course there are a couple caveats that come with the price tag; mainly the lack of Dolby Vision HDR support, and that this isn’t really a 4K UHD (note the “PRO-UHD” marker) device. That’s not to say that it won’t perform, or that you’ll even notice a difference, we’ll need to see some reviews to make that call, just that the 3x1920x1080 LCD panel based pixel shifting tech is 2,626,560 pixels shy of real 4K. 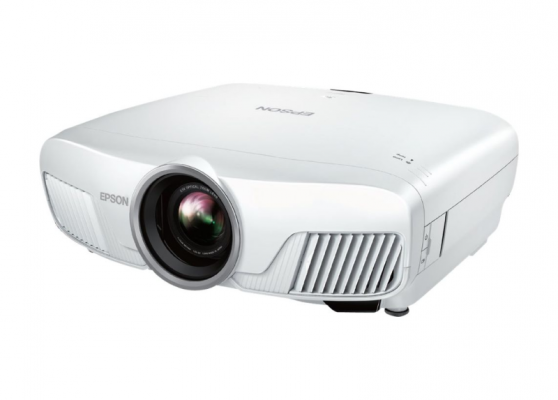 LONG BEACH, Calif. – Sept. 18, 2018 – Epson, the number-one projector manufacturer in the world, today introduced the Home Cinema 4010 4K PRO-UHD®1 Projector with HDR2 – bringing the ultimate 4K experience to DIY home theaters for under $2,000 MSRP. The new Home Cinema 4010 leverages Epson’s new, proprietary 4K PRO-UHD technology which features an enhanced version of Epson’s advanced pixel-shifting, resolution-enhancement technology,1 along with an expansive DCI-P3 color gamut3, high dynamic range and 100 percent balanced color brightness4 to display bright, full-colored imagery and stunning resolution for an immersive viewing experience that friends and family will love. The Epson Home Cinema 4010 is powered by Epson’s new 4K PRO-UHD technology, an advanced, high performance optical engine that generates high color brightness and white brightness, color accuracy and dramatic contrast with HDR102. Featuring 2,400 lumens of equal color and white brightness,4 an incredible contrast ratio up to 200,000:1, a wide color gamut displaying the entire DCI-P3 color space,3 and Epson’s advanced state-of-the-art 15-element glass projection lens, the Home Cinema 4010 makes even the smallest details come alive for a dramatically different 4K experience and HDR at an extremely competitive price.